Andrea Carter is turning sweet sixteen. She is about to finish school, her sister is getting married, and her older brother has a new baby. Her horse gave birth to a colt and she is eager to work with it and work full-time for the ranch she loves. There's just one problem: a city boy comes to town. 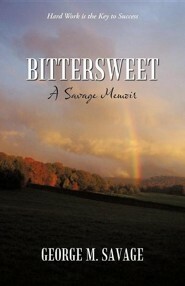 Bittersweet is a touching collection of reflections, stories, and words of wisdom inspired by one man's memories and thoughts. George Savage's memoir will take you from the present to the past, and you will discover a piece of your own heritage and history. He has an emotional tie with his roots, and you'll form an emotional tie to your own roots as you read his reflections. With Bittersweet, he keeps the memories alive and gives his family a legacy of love and courage. His journey has been one of tragedy and triumph-a bittersweet story of success, trials and tribulations, agonizing sadness and tremendous joy, love and compassion. 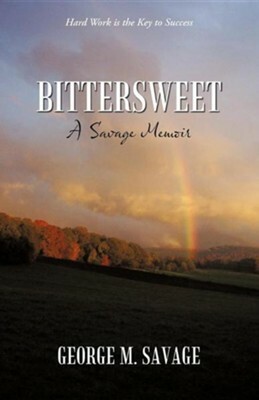 With the writing of Bittersweet, he sends an inspiring message: "If a small, poor, backwoods boy from the hills of Tennessee can persevere in the face of many hardships and obstacles and find happiness and success, you can too." With love, I dedicate this book to my wife and helpmate, Helen. Without her, none of this would have been possible. 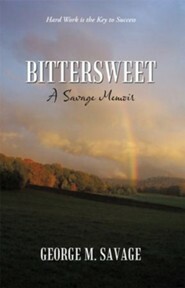 I'm the author/artist and I want to review Bittersweet: A Savage Memoir.